SAO PAULO – As so often happens in my worldwide travels to find open mics and jam sessions around the world, I make discoveries thanks to the people I meet from year to year in previous jams and open mics. Sao Paulo is one of the most difficult places for me to find such places, partly due to the barrier of language, and partly thanks to a completely different musical culture compared to many other places around the world. I have always managed to go to the open jam session of the Lua Nova, as I have mentioned in almost all of my visits to Sao Paulo on this blog, and every year almost the location of the Lua Nova jam changes location. Last year I found a fabulous open mic near my hotel, but that open mic has ceased to exist. So last night, just as I was resigning myself to being in yet another city with a reduction of open mics, and maybe even not being able to play in Sao Paulo at all, I was in touch with one of my friends from Lua Nova. She told me that not only is Lua Nova happening on Sunday night as usual, and not only has it again changed location, but guess what? There was last night an open mic at the same new location where Lua Nova takes place. This is a fabulous bar devoted to music and located in Pinheiros, near Vila Madelena, where I have most often played on my visits to Sao Paulo. The bar is called Bar do Julinho, after the man who owns the bar, a musician named Julinho. So I decided to make my way over there, despite the late hour of past 10 PM, and I found that not only was the location a warm environment with guitars and other musical instruments hung up on all of the walls, with photos of Brazilian musicians and others, all over the place, with a nice stage area and a great sound system, but ALSO, there was a feature act playing when I arrived. It was a fabulous feature act, the fabulous woman singer, Iion Papas, with a guitar player, drummer, and bongo player. She and her band played Brazilian music until about 11:45, when the open mic began. And in fact, it was all Brazilian music. 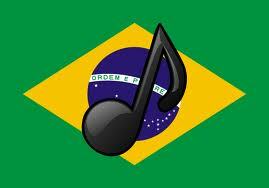 And fabulous Brazilian music. Nothing but wonderful accoplished musicians and singers. I found myself feeling that familiar sense of dread and wondering if I really fit in from more than one point of view – talent and musical style. But once my turn came up, once again, as also so often happens – especially here in Brazil – suddenly, I could play any of my usual songs, and the band joined in and completely changed musical styles, fitting in perfectly with what I do. It was a fabulous evening, and I am so happy to have discovered another open mic in Brazil, another venue, another great taste of the local musical culture – as you’ll be able to see from the videos on this page that I made last night…. NO, I don’t mean “last night,” by that headline. I mean, “my last night,” in Brazil. I took me three days to get back from Brazil to Paris thanks to Air France having one of the engines on the flight across the Atlantic not really work, and we had to go back to Sao Paulo and spend half the night on the runway while they tried to repair it, and the other half of the night in a Holiday Inn…. But that’s another story. I put up my new Thumbnail Guide to Sao Paulo open mics BEFORE I put up this little report of attending the Lua Nova open mic and jam…. And usually I do things in the order in which they happened, but this time, I just wanted to get that guide up before anything. Now, the Lua Nova open mic, as I mention in my Thumbnail Guide to Sao Paulo open mics, is a fabulous evening in Sao Paulo on Sunday nights, and it usually goes on all night long. It is a combination jam session, open mic. But mostly a jam session, and mostly for Brazilian music. Jamming at the Lua Nova jam in Sao Paulo. It has moved from one location to another over the years, almost annually, because despite Brazil seeming like a music-loving country, it’s no different than anywhere else in the world, the neighbors always find the time to complain about music in bars. Now the Lua Nova crowd have found a very neat bar concert venue that appears entirely cut off from crappy neighbors, still in the Pinheiros, Vila Madelena area. More jamming at the Lua Nova jam in Sao Paulo. And the music is still as fabulous – but now the venue has a lot more space than before, so it gets very, very full of spectators, dancers, musicians and others…. Just a note to say that I have updated my Sao Paulo open mic city guide, The Thumbnail Guide to Sao Paulo Open Mics, Jam Sessions and other Live Music. I have added a new location for the Lua Nova open mic venue and I have added the new discovery of the Gênesis de Gênios open mic. SAO PAULO – Sometimes clichés are the best way to describe things. Today, I can only say like the old cliché that you should never give up. Yesterday, having finished my work by 5 p.m. at the autodromo in Interlagos, I decided to do my annual search for an open mic in Sao Paulo, feeling entirely as if I would find nothing. There is a massive amount of music in this city, but I never did find one of the real traditional kinds of open mics here since coming every year since 2009, with my guitar. And then, boom, I struck it rich: Gênesis de Gênios open mic. And it started with sign-up at 6 PM. And it was a block and a half from my hotel!!!!! It was all written on Facebook, in Portuguese, this Gênesis de Gênios, and I did not quite believe my own gut-feeling translation. So I had a Brazilian translate it all for me: Show up, instruments available, sign up, wait your turn, two or three songs, little contest of the best performer each edition getting the feature spot at the next edition…. It was all there. It was indeed an open mic of the kind I know. Not the Samba sessions sitting around tables and playing samba. Not the jam sessions of the the Lua Nova kind, that I had tasted up to now, and that I absolutely love, but which is more jam than open mic. This was a real, true, youth culture open mic of the kind where you get up behind the mic and sing your songs, your compositions, cover songs, whatever you want. But it was also Brazilian!!! Most of it was singing Portuguese, although there were a number of songs in English too. And as it turned out, it took place in a very cool bar called Sensorial Discos, which is perfect for open mics, with a long corridor-like feel to it, tables and chairs either side, the stage in front of the bar, a great host and person controlling the sound system…. And huge enthusiasm from the organizers AND the bar. The organizers, a music production company called Gênios, has big plans for the open mic, maybe doing recordings, they do videos, they do photos, maybe finding artists. You name it. Just what I love in the best open mics around the world: A zeitgeist, a reason behind the moment to be wanting to organize the evening. My only criticism? Well, it only takes place once per month!!! But what an incredible bit of luck I had to find this place on my first full day in Brazil, the very weekend I was visiting, and just a block and a half from my hotel in the Jardins district. And, oh, there was another incredible factor that came together to permit me to sign up in time and get my name on the list: When I saw I had but one hour to get from Interlagos to my hotel and the open mic, I was virtually certain that I would fail to make it. The traffic at that time in Sao Paulo is usually horrendous. I predicted a ride as bad as 2 and a half hours! But somehow, miraculously, I got to the hotel by just before 6 p.m. and arrived at the open mic by around 6:15 p.m., and I was one of the first there!!! Just an absolutely FABULOUS night and discovery of this Genesis de Genios open mic. You’ll see in the videos that I took the vast cross-section of music from this Brazilian open mic. I hope I can get back next year!!! For my 22d city installment of my worldwide open mic guide today I am loading my Sao Paulo page. As a reminder, it all started with my now very popular Thumbnail Guide to Paris Open Mics, Jam Sessions and other Live Music, and due to that guide’s success, I decided this year to do a similar guide for each of the cities I travel to during my worldwide open mic tour. Brazil, as most people know, is a musical country, famous for the distinctive sounds of bossa nova and samba and many other styles. It all came very much alive in the 1960s with the Tropicália music movement that transformed traditional Brazilian music – and other arts – into a pop-rock form. One of the most influential bands was the São Paulo-founded Os Mutantes, which, over the decades, would influence many musicians – including David Byrne and Beck. And there were people like Joao Gilberto and Antonio Carlos Jobim, and even people like Stan Getz, the American jazz sax player, who helped popularize the music in the west. So you would expect that Sao Paulo would be a vibrant open mic, or especially, open jam, city. But for the foreigner to step into this capital of Brazil of 20 million people and try to find an open mic or jam, it just is not so easy. The city is, yes, very much alive with music. It is just bubbling with music everywhere, from single singers with guitars in small bars and restaurants, to venues with larger stages and play areas that put on special events and live music of all kinds. But there is soooo much live music that there is practically – and I say “practically” – no need for the open mic or jam. They do exist, but in general, they are put on at the drop of a hat, in a neighbourhood bar or restaurant, with no prior planning, and mostly among friends. As I mention in my guide, there is a Brazilian equivalent of the open mic, called the Sarau, but it is not always easy to predict where one may arise…. The only guide I am really in a good position to update regularly is that of Paris, since I live there. But I decided to do guides to all the other more than 20 cities on my worldwide open mic tour in order to give the knowledge I have personally of each city’s open mics. The guide has links to sites I know of local guides that may be more up-to-date, but I have chosen to list the open mics or jam sessions that I have played in myself. There may be others that I know of, but if I have not played there, I will not include it on the list. That way, the user learns a little of my own impressions. But I cannot be as certain that the guide is up-to-date – so check before you go. So here, now, in any case is the Thumbnail Guide to Sao Paulo Open Mics, Jam Sessions and other Live Music. Please do help me whenever you have information to give me on venues. SAO PAULO – For the last five years I have carried my guitar around to all the races of the Formula One series and found places to play in open mics and open jam sessions. 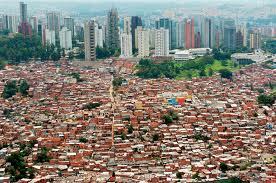 I am now in Sao Paulo, Brazil, on the last leg of my journey this year. This marks five full years of playing on every continent except Africa and Antarctica. (I used to live in Africa, so I have played there before; and Antarctica is too cold anyway.) But tonight, just five minutes ago, I have encountered for the first time ever – in a hotel where I have stayed for four of the last five years – a complaint from the front desk for the music I have played in my room with my acoustic guitar and vocals. Halfway through Baby Blue the phone rang and it was the front desk. The poor guy could not speak English very well and had to break up his words with use of the computer keyboard to find a translating web page so he could find his words. But here is what the message was in the end: “A neighbor of yours on your floor is complaining about the noise in your room. Can you please keep it quiet.” I told him that he had just won the prize of being the first hotel in five years where I have had a complaint about playing some songs in my room. He then responded, “I’m very sorry, but in Brazil, you cannot make noise after 10 PM at night.” Of course, the fact that it was 21:55 went beyond him…. In any case, I’d love to know who this cowardly and nasty and thin skinned neighbor is, and I’m very disappointed in Brazil! But now I know why my favorite open jam open mic here has been thrown from one venue to another over the five years that I have come here, each time because of complaints from neighbors over the music. Jeez. So much for musical Brazil. Of course, perhaps had I been playing some much quieter bossa nova, it would have been tolerated??? Still, the first time ever in five years that I receive a complaint from a neighbour in a hotel and the hotel acts on it, and it had to be in Sao Paulo?!?! We’ll see how well the weekend progresses after this.